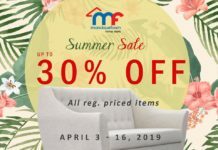 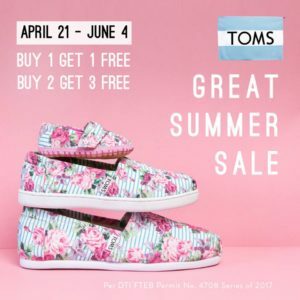 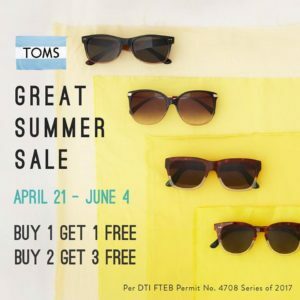 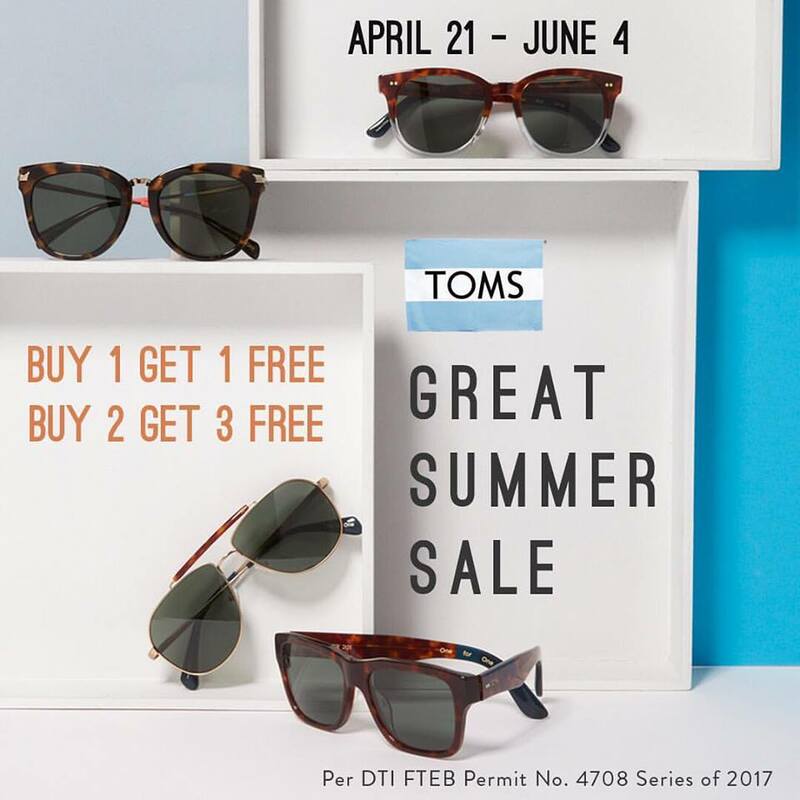 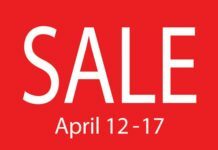 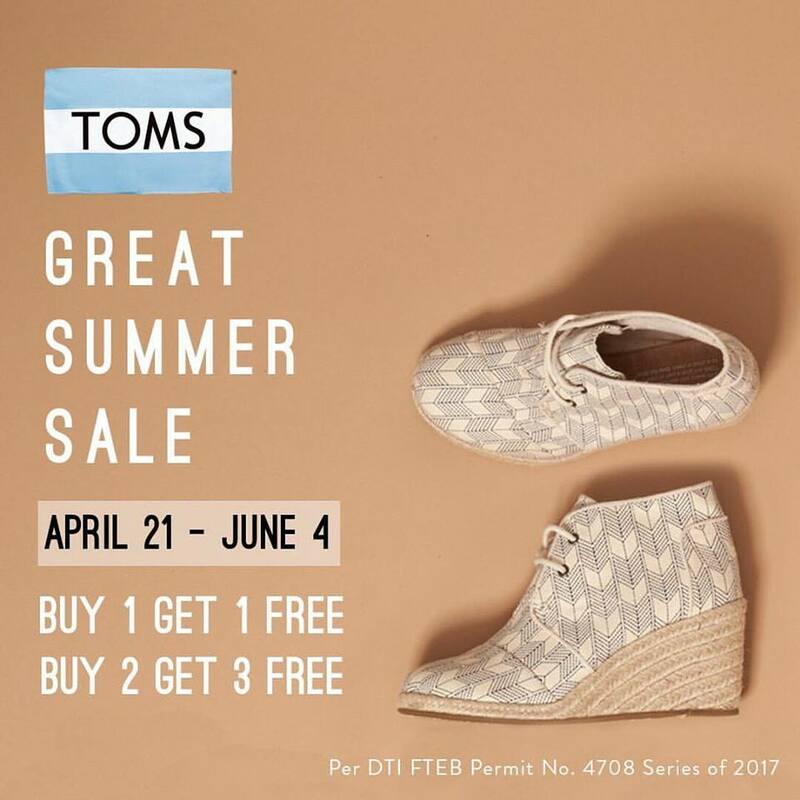 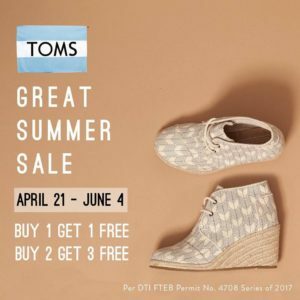 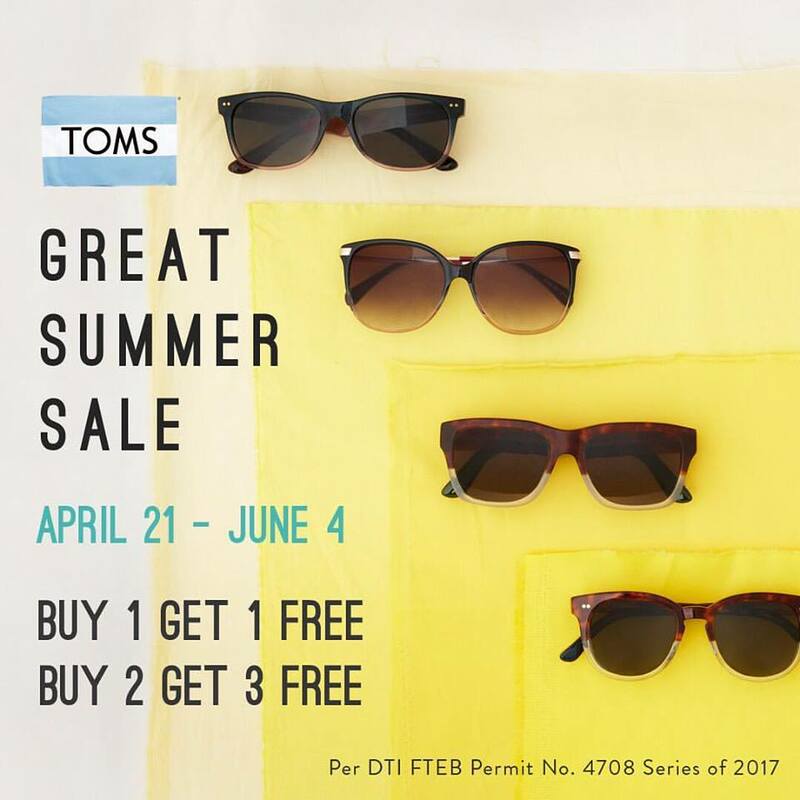 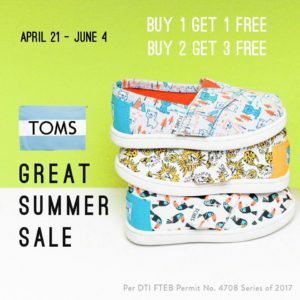 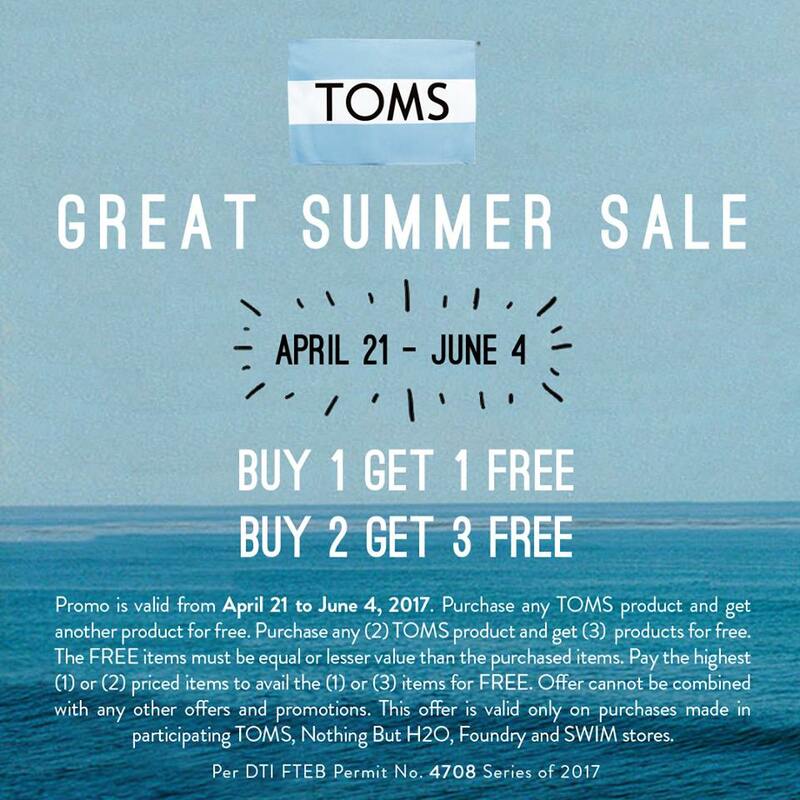 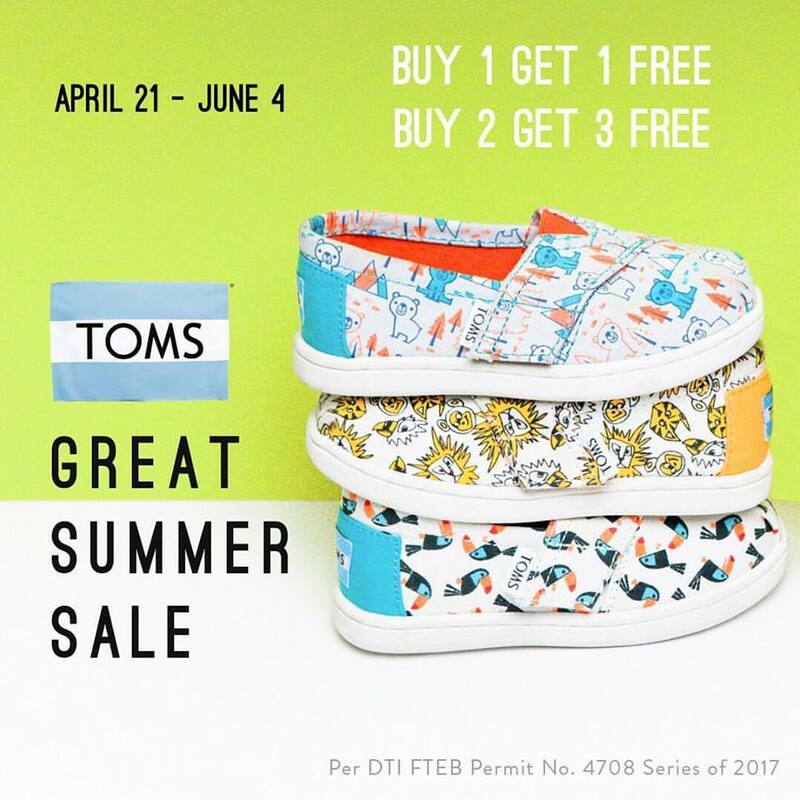 TOMS Great Summer Sale! 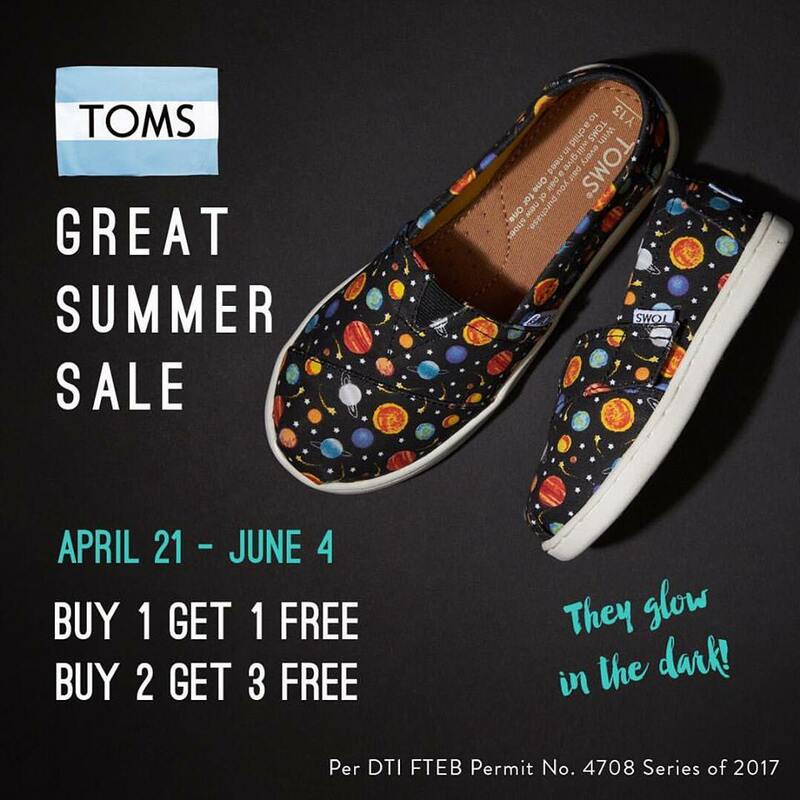 Get ’em before they’re gone! 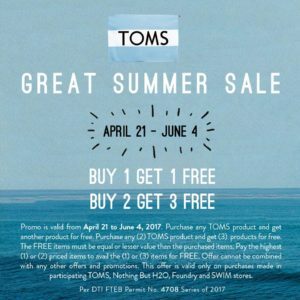 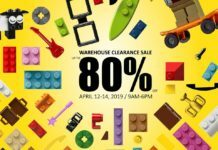 Visit TOMS SM Megamall, TOMS SM MOA, TOMS Glorietta 1, TOMS SM Aura, Nothing But H2O Trinoma, Nothing But H2O Alabang, Nothing But H2O Boracay, Foudry Westgate Alabang and SWIM Rockwell.